Until 1968, the term “zombie” was used to refer to the Haitian folklore belief of reanimating a dead body through magical means. In 1972, films with a distinctly feminist point of view were rare, with the popularity of the “women’s lib” movement still in its infancy. In 1978, the vampire film was old news, as rotten as corpses lying in their coffins ready for night to fall so they can wake and feed on blood. In 1988, a paraplegic had never been the heroic protagonist of a major horror film. After each of these years, the horror cinema landscape changed … because George A. Romero had released a new, innovative film. Romero, who died last week at age 77, was often said to make blue-collar, rustbelt horror, and while his films generally involve middle- to working-class protagonists, this observation also stems from the DIY nature of his movies. Night of the Living Dead’s (1968) singular, remote location was chosen not merely for the paranoid isolation it provides but also for the savings in production costs. The same goes for Dawn of the Dead’s (1978) Monroeville Mall setting, Martin’s (also 1978) shoot in a Pittsburgh (Romero’s hometown) suburb with friends and family making up the supporting cast, and so on. In each instance, Romero utilized the resources he had in order to emphasize the themes each film sought to explore. Thus, Night becomes a siege film with characters struggling to coexist and survive a threat from without; Dawn becomes a biting social satire about people who choose to live out an untenable fantasy of living in the heart of materialism after society’s collapse; and Martin’s ambiguous take on vampire mythology is made more intensely personal and intimate by involving real family members. Through every film, Romero always made the most of what he had to work with. This “making lemons out of lemonade” mentality is especially prevalent in the production of 1985’s Day of the Dead. The film, which was intended as the finale of Romero’s Dead trilogy, originally had a sprawling 200-page script, and involved a massive army of zombies trained by a mad military man, set on a lush jungle island. When the budget dropped from $7 million to $3.5 million (due to Romero’s desire to release the film uncut and unrated, preserving the extreme zombie gore first established in Dawn), Romero had to pivot. So, the film was rewritten and relocated to a former mine shaft in Pennsylvania. The major themes and ideas of the original script remained, yet this way Romero could preserve the visceral power of the violence as well as the bleak, nihilistic tone. After all, how can you make a movie about a besieged humanity crumbling from within while experimenting on reanimated corpses without showing the gruesome results? Even with a bigger budget, Romero’s creativity never wavered. His 1982 collaboration with author Stephen King, Creepshow, was one big love letter to the works of EC Comics, years before HBO’s Tales From The Crypt adopted the style (indeed, Creepshow’s success was likely a major factor in the popular show’s creation). Using an original screenplay by King instead of adapting one of his stories or novels, Romero adapted the visual language of comic books to the screen in a way that wouldn’t be imitated or matched for at least a decade, unabashedly making a “comic book movie” in the days when that phrase was woefully out of fashion. Years later, Romero’s return to his Dead universe, 2005’s Land of the Dead, expanded the scope of his zombie mythology to its largest degree, convincingly telling the tale of one of the last protected cities on a zombie-ravaged Earth. Rather than fall victim to the creative compromises that threatened Day and brought down its budget, Romero was able to shoot R-rated and unrated versions simultaneously by utilizing blue-screen elements that could be inserted or removed to obscure or reveal gory effects. Both versions would become commercially available thanks to the popularity of “unrated” cuts of films during the heyday of DVDs. Most remarkable of all is Romero’s progressiveness, a trend throughout his career. He famously cast Duane Jones in the leading role in Night of the Living Dead, making the actor the first African-American hero in a horror film. Later, while writing a new script, Romero became aware of the emerging feminist movement in the early ’70s, and the resultant film Season of the Witch (1973) explored female agency, featuring a protagonist who is never punished for her desires or actions. 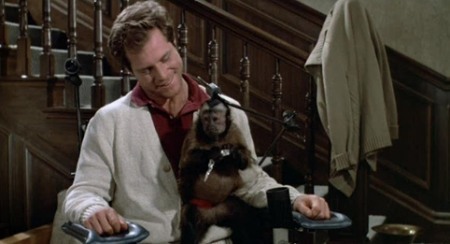 Romero alleviated the studio-backed woes of 1988’s Monkey Shines by telling a story about the relatively unexplored rage of the paraplegic, emphasizing their plight through allegory while giving the disabled hero a healthy and sexual romantic relationship. The origin of Romero’s progressive nature was only well known to his friends and family; in numerous interviews, he stated that he cast Jones in Dead simply because he was the best actor for the role, and not for any political or social reason. Nevertheless, pushing representation on screen was clearly as important to Romero as any other creative decision he made. 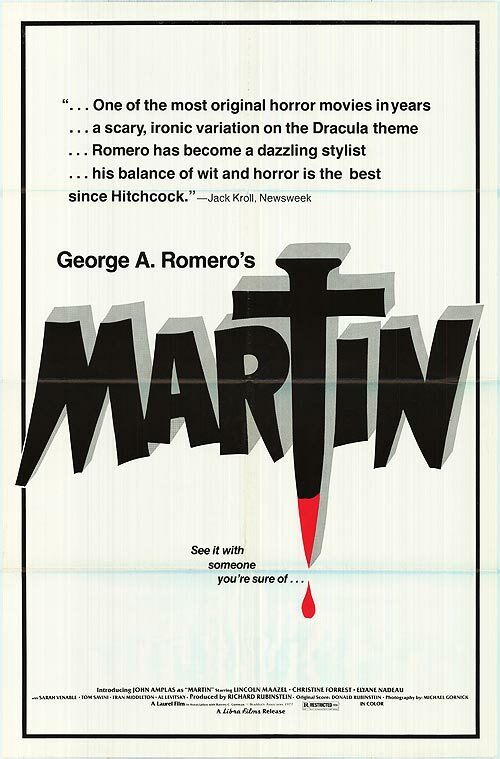 Romero’s filmography is a remarkable one in several ways, not least of which is the fact that he never repeated himself throughout his 40-some year career, not even in his six Dead films. Like Bram Stoker and Curt Siodmak before him, he played a major part in creating a modern mythological creature that countless authors, artists, and filmmakers explore to this day. Each film that he was able to get financed (which, sadly, was an increasingly rare occasion during the last few decades) he made the most of, held near-complete control on, and never allowed his work to be steamrolled by a larger corporate interest. While there were times over the years when he nearly signed on to do a big-budget Hollywood movie (in particular, the first film in the Resident Evil franchise), he never “sold out,” choosing to make the material the way he wanted to make it — a distinct difference from the “make one indie movie in order to get hired on a tentpole next” style of emerging directors today. The resourcefulness, progressiveness, and creativity of George A. Romero were vast enough to change cinema forever, and his example will continue to serve as a guiding light for filmmakers. Like his zombie creations, Romero’s influence will never die. Bill Bria shuffles listlessly in New York City.